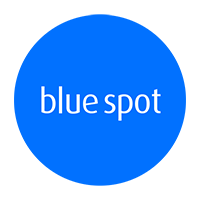 Blue Spot respects your privacy. We understand that how your personal data is used and shared online matters to you, and we take the privacy of those who visit our website (“the site”) very seriously. We will not collect any data other than when you contact us, and we will always process that data in compliance with the law. Our site may contain links to other sites and be aware that if you choose to click on those links, your data may be processed by other organisations hosting those sites. We cannot control or monitor this, and you should have regard to their privacy policies.